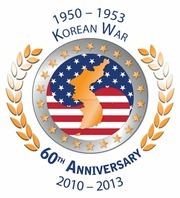 This week there are exhibits on the Korean War on display at three different locations in Central Arkansas — the Butler Center for Arkansas Studies, Arkansas State Capitol and Arkansas Department of Veterans Affairs. This year marks the 60th anniversary of the ending of the three year conflict. The Korean War has often been overshadowed by other conflicts, such as World War II and the Vietnam War. Much of the history of the war exists only in the memories and mementos of its veterans. Approximately 6,300 Arkansans served in the war, including six who received the Congressional Medal of Honor. In addition to the displays this week, the Butler Center for Arkansas Studies is gathering Arkansas-related Korean War materials to preserve this important history. On Wednesday, July 24 at 10am, there will be a ceremony at the Arkansas State Capitol in the second floor of the rotunda. The Butler Center is located at 401 President Clinton Avenue in Little Rock. The Arkansas Department of Veterans Affairs is located at 2200 Fort Roots Dr # 65 in North Little Rock. This entry was posted in History, Museum and tagged Arkansas Department of Veterans Affairs, Arkansas Secretary of State, Arkansas State Capitol, Butler Center for Arkansas Studies, Korean War by Scott. Bookmark the permalink.